This is the answer when the guests are arriving in 15 minutes and you just realized you forgot all about dessert. This treat whips up fast and easy yet makes your guests think you went all out for them. Just make sure you don’t tell anyone Grandma’s secret. In a medium bowl, sprinkle lemon juice over apples and toss to coat. In a separate bowl, combine oats, sugar, cinnamon, butter and nuts. 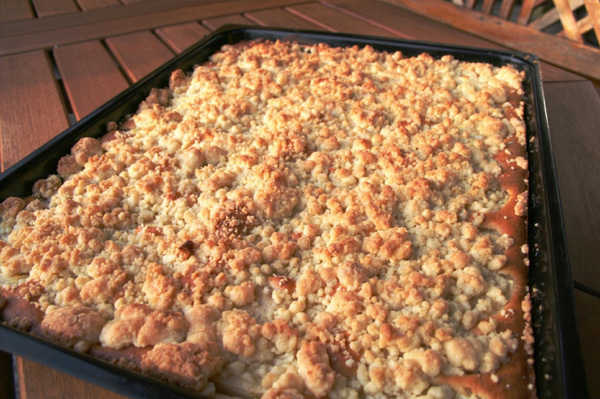 Place apples in an 8 1/2 inch dish and crumble the topping over the apples. A quick and simple dessert your whole family will love! Try changing it up by substituting the apples with other combinations of fruit such as peaches, raspberries or blueberries. Or swap out the pecans for walnuts, almonds or hazelnuts. Points and Prizes Keyword: CRUMBLE worth 50 points good through 02/03/08.